These presentation slides 41872 are complete compatible with Google Slides. Simple download PPTX and open the template in Google Slides. 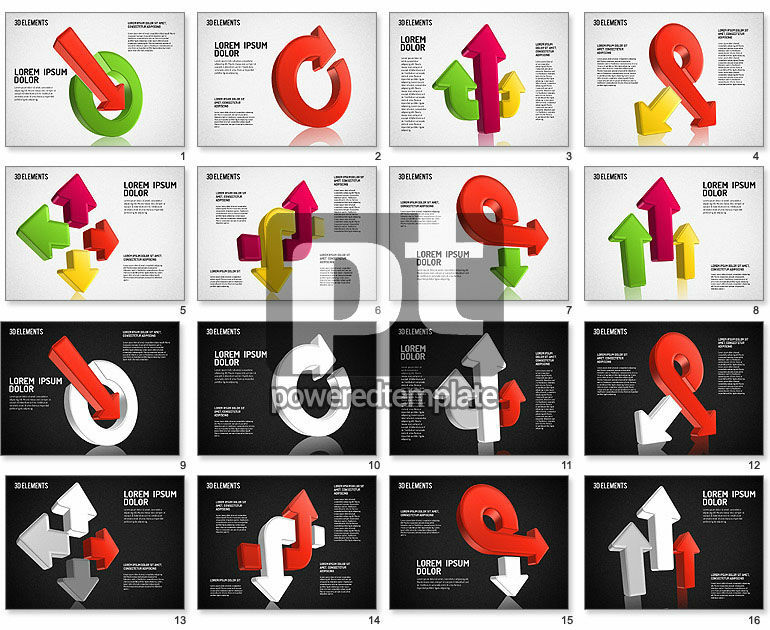 Meet this colorful arrow template created in a modern style. It contains various 3-D items, connected between each other and areas for your specific content. You may use this stylish template for visualization of your data in many spheres of business, network, media and education, if what to represent some solutions, choosing the best ways and directions of development, making decisions, etc.